Meaning of SEO is straight forward i.e. ‘search engine optimization.’ Simple procedure to get traffic for free. Basically its more of an organic search that lists in results on search engines like Google, Bing or Yahoo. SEO is the traditional method of digital marketing that helps you to get better rankings based on content relevant to search engines. The best advantage of SEO is that it isn't highly priced as compared to other mediums of digital marketing. It is comparatively affordable and usually now a days all business listed online need an SEO. It is noticed that offline businesses think they cannot afford to ignore digital marketing since social media advertising and other methods drive their potential offline sales to other sellers or suppliers with strong SEO or digital presence. SEO helps your prospects find your listed business website from the searched keyword and related results. SEO needs to be properly planned and well-optimized, with up-to-date information and relevant content. As you know – the internet never sleeps. There are many methods which help you to rank First on popular search engines like Google. If you wish to get your website listed on the first page of search engines we can assist you to achieve this objective. Our experts from Goyal Infotech can accurately help your content relativity as well as conversion routes with the affordable investment which can help your business get more exposure. 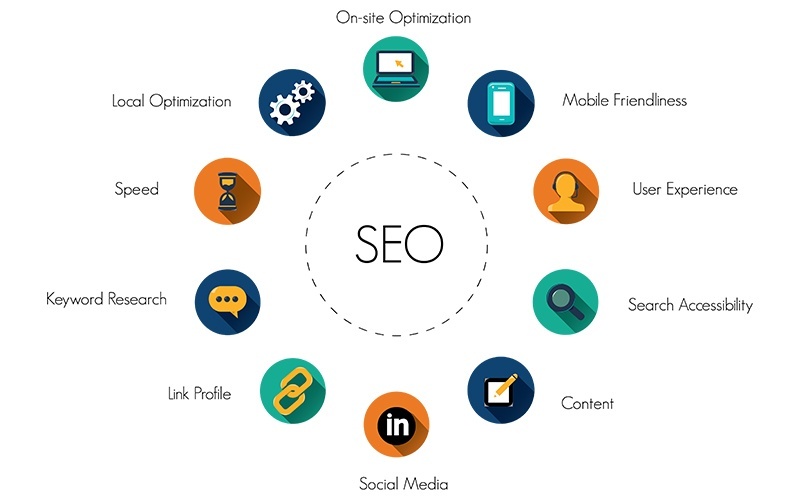 Goyal Infotech search engine marketing experts will boost experience of SEO in your website, which will result in healthy increase of your traffic and onsite conversions.